This product is designed to be chewed, do not swallow. |These gums should not be chewed like ordinary chewing gum. 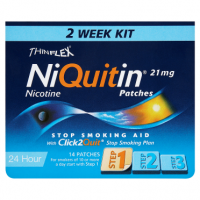 Read the Nicotinell chewing technique in the enclosed leaflet carefully before use. 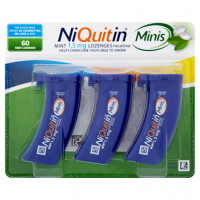 Only use 1 piece of gum at a time and do not use more than 15 pieces of 4mg gum a day. 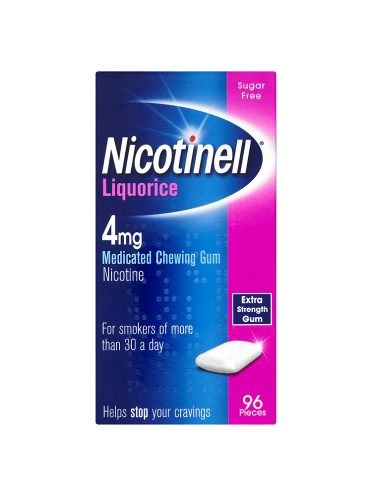 Nicotinell liquorice flavour gum is an aid to combat the withdrawal symptoms caused by giving up smoking. Which gum do I need? 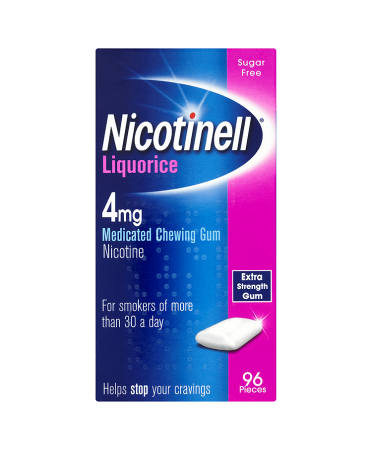 Nicotinell 4mg medicated chewing gum is for smokers smoking more than 30 cigarettes per day. 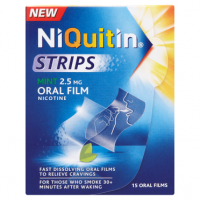 It can also be used by smokers smoking between 20 and 30 cigarettes per day depending on your preference. 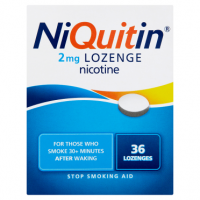 If you smoke less than 20 cigarettes per day, you should use Nicotinell 2mg medicated chewing gum.